Our extracurricular program is designed to make available different types of activities to meet the interest of the student body. The plans, activities, and functions of each group are decided upon and carried out by the members and their elected officers with the help of the adviser or coach. The success of each group depends upon the loyalty and work of the members. Help make your team a success by participating actively. Students in grades 6-12 may participate in varsity interscholastic athletics. Additionally, we do offer middle school only teams for our most popular sports. Please note: For a student to participate in an extra-curricular activity, the child must attend at least four class periods on the day of the activity. If the activity falls on a weekend, the student must attend school on the prior school day. This includes but is not limited to: musical concerts, athletic events, clubs or field trips. A student must also maintain a 2.0 on a 4.0 scale beginning with the student’s first marking period in order to be eligible to participate in interscholastic/extracurricular activities. An exemplary standard of conduct is expected and will be enforced. 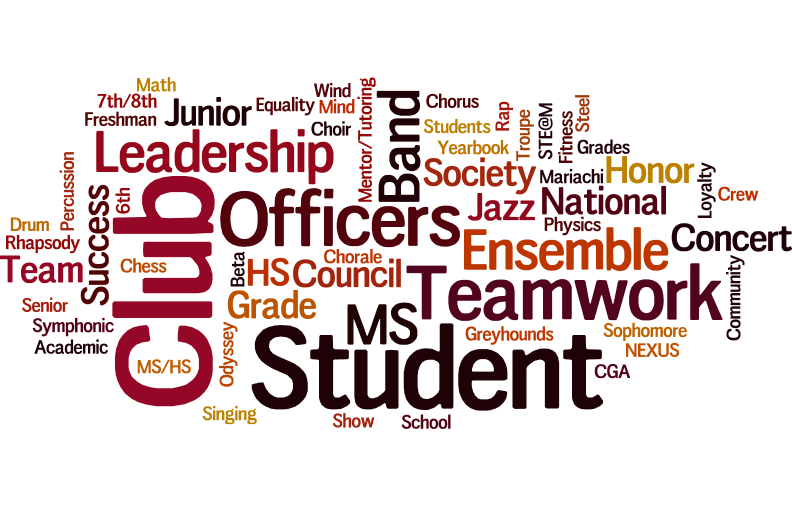 All extracurricular information for 2018-2019 will be updated as new information becomes available. Please check back periodically to find updated names, times, and locations.